600+ guests attended events in Toronto during Startup Fashion Week (SFW) to be part of a growing network of fashion enthusiasts and entrepreneurs. The highly successful five-day event provided a platform for emerging designers and fashion-tech startups to increase visibility through networking events, conferences and a prestigious runway show. 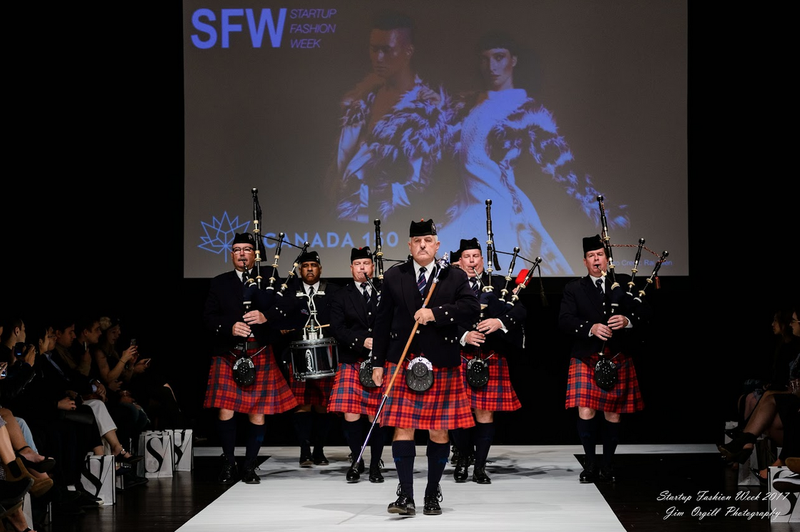 In its fourth year, SFW drew in participants from across Canada as well as guests and sponsors from the US and the UK. A true sense of community was evident at the SFW runway show on Friday October 20th with the presence of 4 Mounted Police on horses greeting guests outside the venue in regent park. SFW opened the show with a special tribute celebrating Canada's 150th featuring the Toronto Police Pipes and Drums band playing Maple Leaf Forever, a collaboration that demonstrated unity among two very different industries with the same goal in mind to establish support and pride. 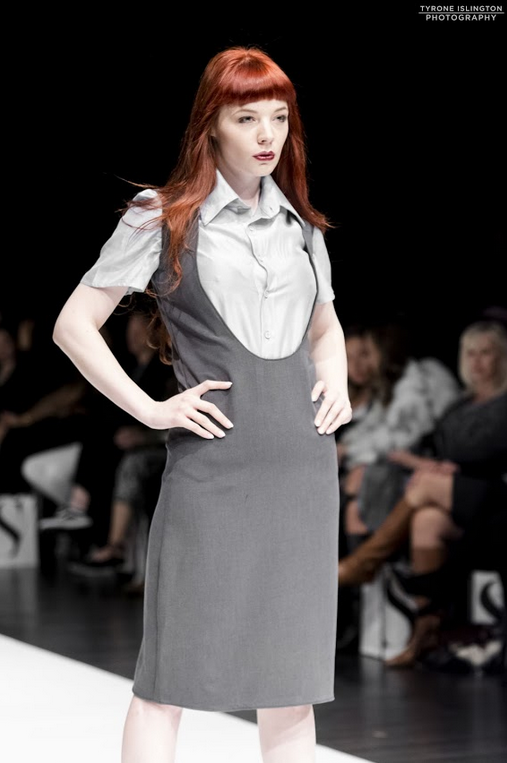 Held at Daniels Spectrum, the standing-room-only runway showcase presented collections from Canadian designers who made their debut including DAMASSIA, Vesika Pisces, encircled, U.N.I., Archipelago and Tanisha Kirk Atelier. A range of ready to wear, swimwear and evening wear with an array of colour and texture is what the audience experienced from SFW's most promising Canadian fashion startups. Some of which proudly demonstrated their approach to eco and ethical fashion. 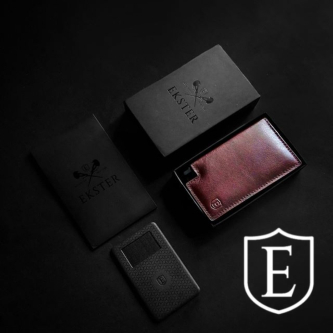 As part of the SFW tradition there were also 2 wearable tech startups generating heightened awareness and excitement for their edgy and innovative products. Tap2Tag CONNECT provided a runway demonstration on how their new NFC technology can be utilized in men's and women's accessories to store, share and retrieve medical and personal data. 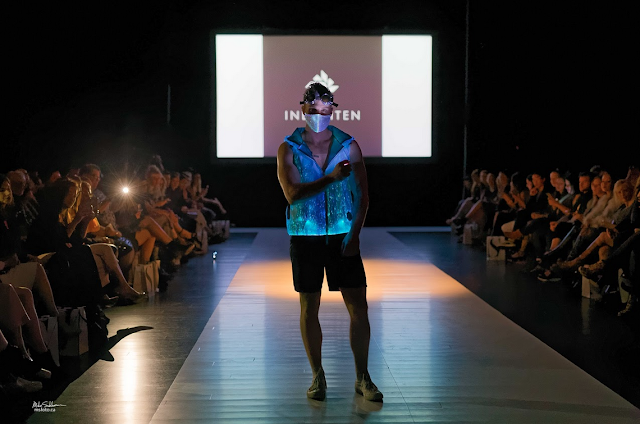 Inlighten.co mesmerized onlookers with garments that lit up the dimly lit runway using fibre optic textile technology. The SFW showcase set new benchmarks by also featuring mini collections of 4 accessory designers from Toronto, Montreal and Saskatoon. EMY ARMOR captivated the audience with their unique body harnesses, Diana Soleil showed luxury vegan leather handbags, Helen Oro Designs provoked head turning reactions to her First Nation Beadwork and KODA NIVOLI presented elegant and ethically made handbags. SFW also provided accessory designers with vendor tables where guests were able to purchase or place custom orders with designers before and after the show. There were line ups and in fact some Designers were selling out of product by the end of the night. "It was very busy at my table after the show, I almost sold out of my handbags," said Diana Saidova, designer of handbag label Diana Soleil. The runway showcase’s success was largely due to the work of volunteers and sponsors who collaborated as models, hairstylists and make-up artists coming from different locations and varying levels of experience to participate. 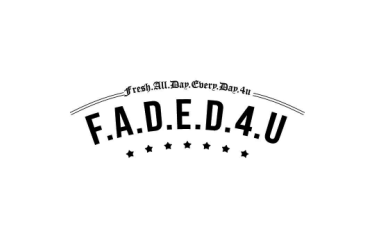 Sponsor Kim Du, owner of Kim Du Salon in Yorkville has been aligned with SFW for four consecutive years supporting the startup fashion community. Du provided mentorship this year to students from Hamilton's MARCA College of Hair and Aesthetics in order to work as a team to prepare models for the show. SFW brought back alumni models while also recruiting new models who were hoping their runway debut would help them break into the industry. Startup Fashion Week (SFW) is the first of its kind, representing the newly developed intersection of fashion, business, and technology. Conceived in 2014 by Founder and Executive Producer Jodi Goodfellow, SFW was created to bridge the gap between the growing fashion and tech industries in Canada and focuses on aiding to launch, accelerate, and sustain these startup businesses. 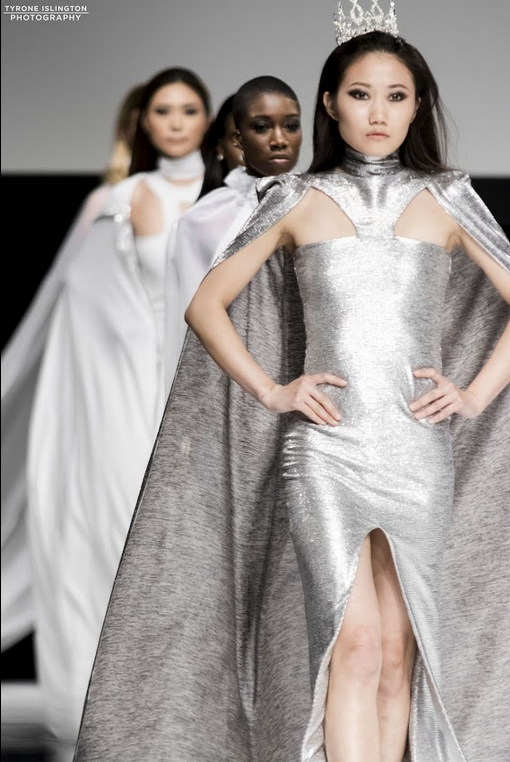 Initially formed as a 3 day platform as a Business of Fashion Conference, Fashion Tech Forum and a Runway Show, SFW has now helped to launch and profile amazing Canadian designers from cities such as Toronto, Montreal, Saskatoon, and Saint John. SFW has featured designers such as Amanda Maria, Atelier Guarin, She Native, By Catalfo and fashion tech startups such as Daniel Christian Tang, Prodmode and Muse.